What is a Posterior Cruciate Ligament (PCL)? The cruciate ligaments are found inside your knee joint and cross each other to form an “X” with the anterior cruciate ligament (ACL) in front and the posterior cruciate ligament (PCL) in back. The cruciate ligaments are important stabilising structures of the knee and control the back and forth motion of your knee. The PCL is one of the four major ligaments of the knee. It is an important stabilizing mechanism for the knee, and prevents the tibia (shin bone) from sliding too far backwards. The PCL also helps to maintain the tibia in position below the femur (thigh bone). What causes posterior cruciate ligament PCL tear? The incidence of injuries of the PCL is less than that of the anterior cruciate ligament. This is mainly due to the greater thickness and strength of the PCL. Nevertheless, the most common way in which the PCL is injured is by direct impact to the front of the tibia itself, usually when the knee is bent. This may occur in a front-on tackle or collision or when falling with the knee bent. It is often referred to as the “dashboard injury” because this can be seen in car collisions when the shin forcefully strikes the dashboard. Another common cause of a PCL tear is when an athlete falls on the front of their knee resulting in hyperflexion of the knee joint. When this occurs, the knee is bent all the way back with the foot held pointing downwards. A sensation of the knee “popping” or giving way. Your surgeon will take a full medical history and conduct a physical examination to confirm a tear or rupture of the PCL. It is important to know how the injury occurred and the position of the leg at the time of the injury. 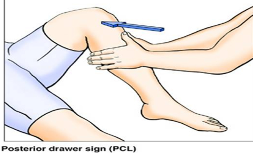 One of the most reliable tests used by surgeons to diagnose a PCL injury is called the “posterior drawer test” – with the knee bent your surgeon will push the tibia backwards. Too much of a backward movement will indicate deficiencies or injuries to the PCL. During the examination, your doctor will check all the structures of your injured knee, and compare them to your non-injured knee. It is common to find other ligament injuries or cartilage damage when a PCL tear is found. Xrays and MRIs are also helpful in clarifying the diagnosis and detecting any other structures of the knee that may be injured. PCL tears are graded I to III by the severity of injury with III being the most severe. These gradings are classified depending on the amount of backward tibial movement observed when the knee is bent at 90 degrees. In extreme cases, the ligament may become avulsed (pulled off the bone completely). Grade I – Partial tears of the PCL. Grade II – Isolated, complete tear to the PCL. 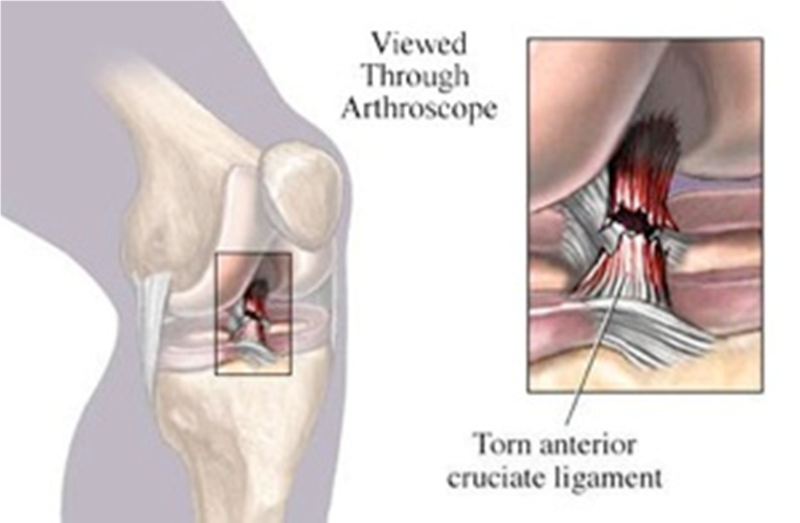 Grade III – Tear of the PCL with other associated ligament injury. Bracing – Your doctor may recommend a brace to protect your knee from instability. To further protect your knee, you may be given crutches to keep you from putting weight on your leg. Physiotherapy – As the swelling goes down, a careful rehabilitation program is started. Specific exercises will restore function to your knee and strengthen the leg muscles that support it. Surgical reconstruction of the PCL is controversial, and is usually only recommended for grade III PCL tears. Because of the technical difficulty of the surgery, some orthopedic surgeons do not see the benefit of PCL reconstruction. Others, however, believe PCL reconstruction can lead to improved knee stability and lower the likelihood of problems down the road. 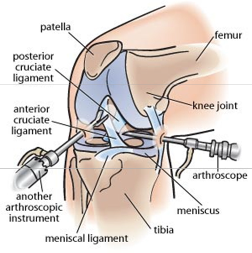 Surgical PCL reconstruction is difficult in part because of the position of the PCL in the knee. Trying to place a new PCL graft in this position is difficult, and over time these grafts are notorious for stretching out and becoming less functional. Generally, surgical PCL reconstruction is reserved for patients who have injured several major knee ligaments, or for those who cannot do their usual activities because of persistent knee instability. How important is rehabilitation following an ACL tear? It does not matter whether your treatment involves surgery or not, rehabilitation plays an important, yet often neglected, role in getting you back to your daily activities. A physiotherapy program is a necessary part of the treatment and is recommended to start as early as possible, and will focus on restoring motion and strength, and improving the stability of the knee joint to prevent future injuries. It is critically important that each individual progress through their rehabilitation as their knee allows. Progressing too quickly or too slowly can be detrimental to overall results from surgery, therefore it is important to be guided by your physiotherapist and doctor.